The Swedish Chamber of Commerce in China is an independent, non-profit member organisation, network and platform for Swedish businesses and decision makers in China. 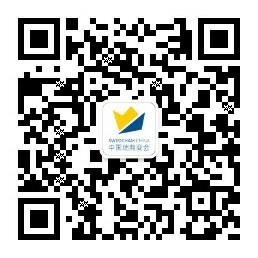 The Swedish Chamber of Commerce in China was founded in 1998 and has around 300 member companies and Associate members. There are Swedish Chambers in 26 countries around the world and the chamber in China is among the top 10 worldwide when it comes to amount of members, revenue and number of events per year. The Chamber offers information, networking opportunities, networking groups and advocacy as our main services, all to help our Swedish and Swedish-related companies do better business in China. We are regularly organizing activities such as expert seminars and professional workshops as well as breakfast meetings with invited speakers. The Chamber is organizing meetings with officials from central and local government bodies from Sweden and China, social functions and festivals and other networking opportunities such as the Nordic Chamber Golf Tournament, Crayfish Party, Christmas Party, etc. Our activities are either free for members, or offered at a member price. Our Member Magazine, Dragon News, is an informative magazine featuring articles, covering a variety of business topics, as well as profiles of members, member companies, and news of interest to the Swedish business community. Dragon News is a non-profit magazine financed by sponsors and advertisers, written, published and created by three Editorial Committees; Beijing, Shanghai and Hong Kong in collaboration with the Swedish Chamber of Commerce in Hong Kong. We strive to always be relevant to our member companies. If you want to collaborate with us in any way or have any questions, we welcome you to contact us for further discussions! There are numerous obstacles that you face when running a business in China, which are often unpredictable. With a lot of experience, a high degree of competence, and a strong member platform, the Swedish Chamber of Commerce in China represents an influential and strong united voice. We use this voice to continuously work for simplified and more transparent rules and conditions for Swedish companies in China. Sometimes the solutions are found in China, sometimes in Sweden or Europe. Sometimes the obstacles can be removed quickly, sometimes it takes long-term persistent lobbying to make process. To get the best results, we have continuous collaborations with other well established players, such as the Swedish Embassy, Business Sweden, and the European Chamber of Commerce in China. It is important for us to have a continuous dialogue with our member, in order to evolve and create an ever more relevant role in the future.